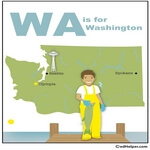 This section lists reading comprehensions on edHelper.com with references to the state of Washington. 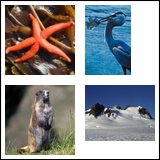 These reading comprehensions were not written specifically for the state theme unit. Wendy's World- What is a President? What's in The White House? Capybaras and Their "Digestive Do-overs"
How Does the Outgoing President Leave on Inauguration Day? Is There a President in Your Pocket? Volcano - Friend or Foe?